Imam Al Ghazali is rightly revered as one of the great scholars of Islamic history. Some consider him the mujaddid (reviver) of his century on account of his revival of the Islamic sciences and major contributions to issues that had beset Islamic theology. The Imam was a prolific writer and his writings touched many subjects. Lesser known perhaps to Muslim communities in the West are his theories on governance and ruling. This article looks briefly at the Imam’s views on these important issues through some important extracts from his works. Islamic ruling, governance and its related matters form an important part of the Imam’s overall theory and writing. This is unsurprising given the pivotal rule governance plays within Islam, the importance of which was universally recognised by classical Islamic scholarship. Some followers of Imam Al Ghazali today sometimes incorrectly focus on his writings on matters of the heart and purification to the exclusion of the rest of his work. When looked at as a whole, there is little doubting that the schema of Islam that Imam Al Ghazali propounded had at its very core the importance of the Caliphate and its role in implementing and spreading Islam. The following extracts from some of the Imam’s established works evince this point, and are an important indicator of Hujjat al Islam’s (“the proof of Islam”) political theory. 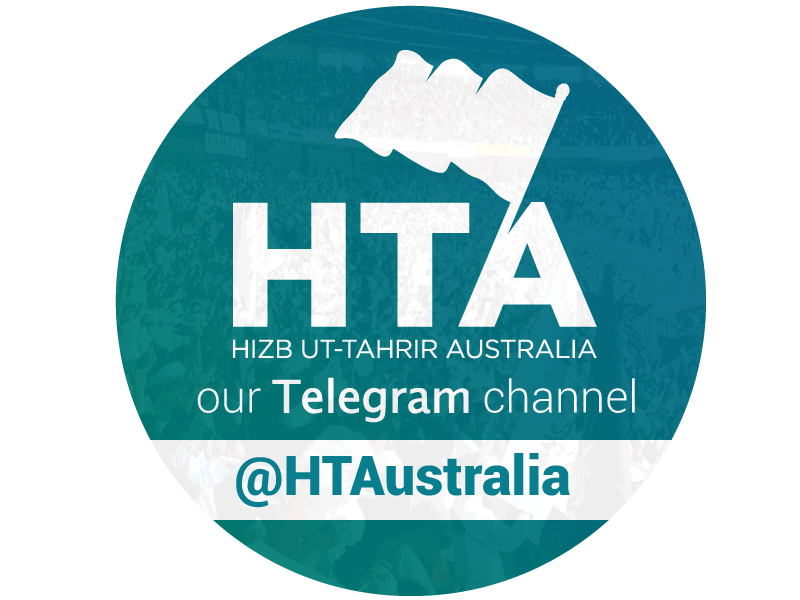 The Muslims must have an Imam, who carries out the implementation of their ahkam, the maintaining of their hudud, the guarding of their frontiers, the equipping of their armies, the receiving of their alms [zakat], the subjugation of those who rebel, thieves and highway robbers, the establishment of jumu’a and the two ‘Eids, the settlement of disputes which take place amongst people, the receiving of evidence based on legal rights, the facilitation of the marriage of the young men and women who have no guardians, and the distribution of the booty. The security of the world, its inhabitants and things cannot be achieved except with a just ruler (sultan muta`) where the deaths of both the rulers and the leaders (al-a’imma) give rise to times of extreme sedition and chaos. If this [kind of chaotic situation] continues without another just ruler being appointed, then there will continue to be chaos and disorder […] this is why it is said the religion and the ruler are ‘two connected guarantors’ and that the religion is the foundation (uss) and the ruler its guardian (haris). If there is no foundation for [the religion], it is doomed and if there is no guardian for it, it will perish… this is a malady for which there is no remedy except through a powerful and just ruler who will unify the disparate and differing views. The judges will be suspended, the wilayaat (provinces) will be nullified…the decrees of those in authority will not be executed and all the people will be on the verge of Haram. Hence, it is clear that the ruler is necessary for both the systems of this Religion and the systems of this world and vice versa. In addition, the systems of this Religion are necessary for the success and joy of the Hereafter and this undoubtedly was the objective of the Prophets. Therefore, the obligatory character of [appointing] the ruler (imam) is established from the Law (al-shar`) which may not in any way be abandoned. Know this! It is seen from the first generation that the sahabah rushed to appoint an Imam and pledge bay’ah after the death of the Prophet (ﷺ), and they believed that it is an obligation binding upon them and a right that should be fulfilled immediately, and they avoided its postponement which even made them delay preparing the Prophet (ﷺ) for burial since they were busy with the appointment of an Imam; all this because they knew that, should there be a moment in which they have no leader that unites them under one opinion and they face a problem, and they differ in the mode of solving it, then their system would be a mess, unity would be nullified and the laws (ahkaam) would cease (to be lived by). It is because of this that they prioritised rushing towards appointing a leader and they did not occupy themselves during this time with anything else other than that. It is clear from the above that Imam al-Ghazali held the Caliphate to be a centrally important part of Islam. He linked it both to worldly and next-worldly success, obedience of Allah, safeguarding of the Muslims and the laws of Islam. 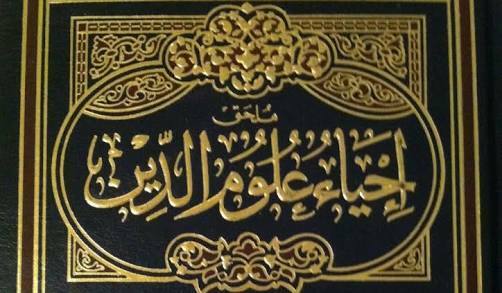 Hujjat al Islam Imam al Ghazali’s book, Ihya Uloom al Deen. Often referred to as an encyclopedia of Islam. The second group of people: a section that inclines away from the true belief, such as the blasphemers and deviant innovators. The averse and vulgar are among these; those of weak minds that are stuck in blind imitation and are argumentative based on falsehood from the beginning of their lives until old age. Nothing works on this group except the whip and the sword. Most of the non-Muslims became Muslims under the shadow of the sword, because Allāh does by the sword and the spear what He does not do by proofs and words. From this, if you read history, you will not read about any battle between Muslims and blasphemers without there being some of them that become Muslims, and you will not find a debate that did not just increase insistence and stubbornness. When will you put yourself to work to try and remove this disaster and face down this huge darkness (that engulfs mankind)? But these are feeble times, a time for the rule of falsehood. If you tried to call people back from their false ways to truth, all of them will oppose you. How on earth are you going to fight them, and how on earth are you going to live with them at the same time? This can never come about except with a propitious time and a pious and powerful Sultan. Even as he viewed the time in which he lived initially as a time of darkness for the world, he realised that real reform of the Muslims of the time would be through a just and good Sultan/Caliph who would do good works and spread Islam with the institutional weight of the Caliphate behind him. While much more could be said from Imam al-Ghazali’s voluminous works in this regard, the above suffices as a snapshot of his political-religious thought. He held the classical position well known among the ‘ulema regarding the Caliphate and its centrality in Islam, and how only through it could the objectives of the deen be realised in the temporal sense. May Allah have mercy on him and all the ‘ulema who elucidated Islam’s details throughout the centuries.